NIMBioS embraces a holistic approach that reaches across disciplinary boundaries to provide meaningful 21st century solutions. 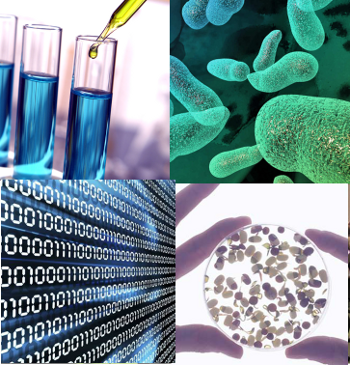 Your help will provide support for NIMBioS' most ambitious research and training initiatives at the interface of biology, social sciences, mathematics and computational sciences. Public funding sources, such as the National Institutes of Health and the National Science Foundation, receive far more proposals than they can fund and are generally targeted toward specific areas, which can limit creativity and innovation in research and education. But NIMBioS was built to follow a different path—one that fosters opportunity through a broader lens of diverse interest allowing creativity and innovation to thrive. Our mission is two-fold: To address emerging problems of society using state-of-the-art approaches and to foster the development of researchers across all generations. At NIMBioS, private funds can unleash scientists' most groundbreaking ideas. 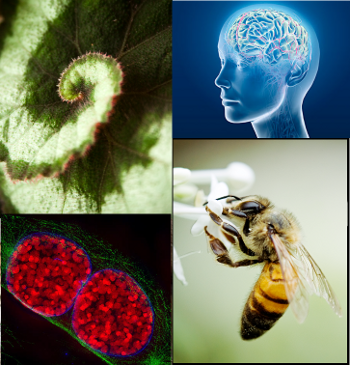 Applying a transformative process, NIMBioS guides the evolution of novel concepts from inception into powerful research programs ultimately supported by traditional funding sources. The NIMBios approach promotes trail blazing at the frontiers of science, cultivating today the leaders of tomorrow. At NIMBioS, we remain committed to protecting the rights and opportunities extended to all members of the scientific community, and we will continue to welcome researchers from around the world. NIMBioS is committed to promoting diversity in all its activities. Diversity is considered in all its aspects, social and scientific, including gender, ethnicity, scientific field, career stage, geography and type of home institution. You can read more about NIMBioS diversity efforts at http://www.nimbios.org/education/diversity. As NIMBioS moves toward the future, your support will help continue and grow the work of the Institute. We seek donations to offset the cost of travel to our activities, to fund our workshops, and to pilot innovative research opportunities. Travel Awards. 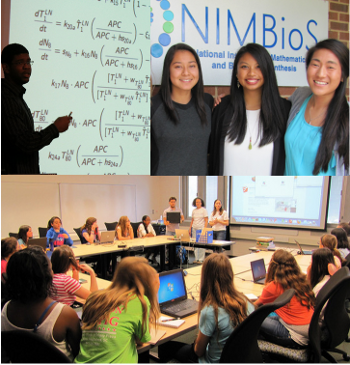 Support participant travel to NIMBioS for activities such as our Innovator Workshops, Accelerator Tutorials and Summer Research Experiences for Undergraduates. We would be honored to name a Travel Award after you. Endowments and Corporate Partnerships. Together we can do so much. Partner with NIMBioS to sponsor a workshop, tutorial or trainee. Learn more about our postdoctoral fellows, workshops and tutorials. Read about the ways in which we have already partnered to produce results. Research Innovation Fund. Think big. Your support in this area will go toward a general fund to help seed innovation and research that addresses 21st century challenges. Proposals will be solicited annually, and funding will be competitively awarded each year following comprehensive review. To learn more, contact the NIMBioS Development Office at development@nimbios.org. NIMBioS is a research unit at the University of Tennessee, Knoxville. The University of Tennessee Foundation is the tax-exempt entity that accepts gifts on behalf of NIMBioS. NIMBioS seeks support from individuals, corporations and foundations and accepts contributions in many forms, including cash, securities, real-estate, and planned gifts. Donations are tax-deductible to the extent allowable by law.